Ask any business man and he will say that competition is a bad thing. However, that is far from the truth. In fact, active competition makes the market more active and makes people pay more attention. By looking at more offerings, customer himself enters the purchase mindset. Once the buying power goes in the hand of consumers, then you enter the proper consumer mode of business. You try to give the customer whatever he wants. And that’s the right kind of mentality for any business owner. 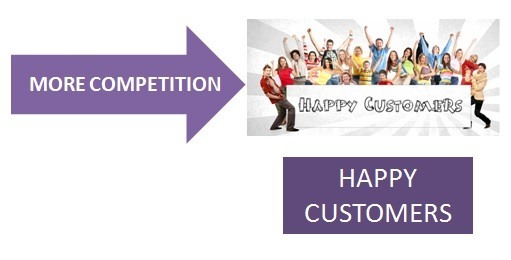 Customers have numerous advantages of market competition. 5 of them are written below. You tend to regularly upgrade your product as well as innovate so that you stay ahead of competition. If there was no competition, Apple would not have been what it was. It would still be doling out laptops only. Because Steve jobs wanted to get ahead of competition like Sony and others, he innovated. So upgradation is a natural advantage of having market competition. The advantage of having market competition is that companies are always adding value to their product. They can either increase the quality of the product, or they can decrease the prices. In either of the cases, the products become more desirable to the customer and they feel that it is a value for money product. Customers get many more options when competition is strong in the market. Take Samsung for example. The smart phone company has several flagship products. Yet it is still launching a new SKU every month. Besides that, Samsung has branched out to so many other products. This is just so that it fills up the gap in the market and offers more options to the customer. As Samsung itself is offering so many products, customer does not go to another brand. They might buy refrigeration, TV, air conditioner, smart phones and everything from Samsung itself. Businesses in general tend to be more productive and efficient when there is competition in the market. When you know that your competitor is making strategies regularly, you optimise your own operations and manufacturing. This means that the customer gets better customer service, optimised product, and at the same time, a management which is listening to the customer. This is the biggest advantage of market competition. The best advantage of market competition is that it ensures that the company is focused on sales and in turn, on its customers. More customers means more market share, and more safety for the company. However, once it starts losing market share, then competitor can have an advantage position. On the other hand, if there was no competition, then the company would not be worried about sales or market share. Being worried is good for the company because then the company is on its toes in the market. In today’s world, competition always exists in the market. 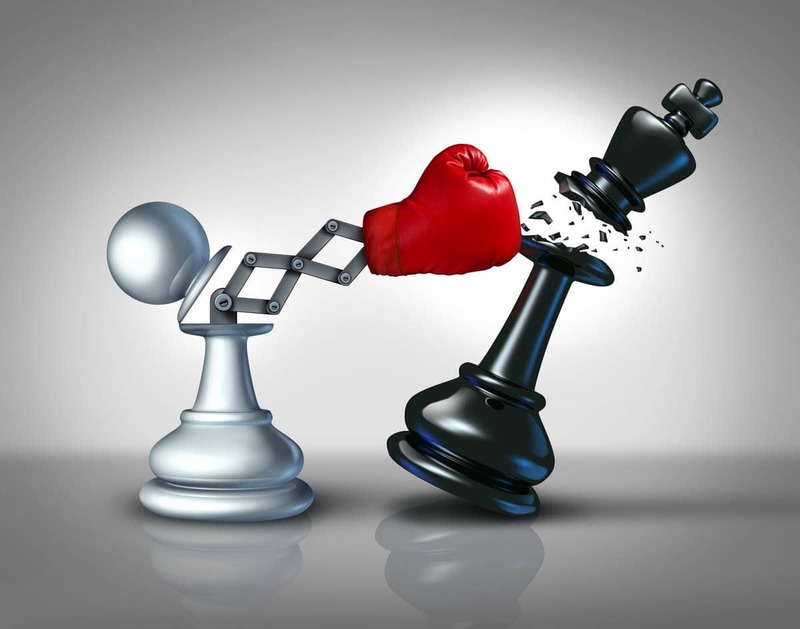 It is the fight for sales and customers which is making top brands compete within themselves. 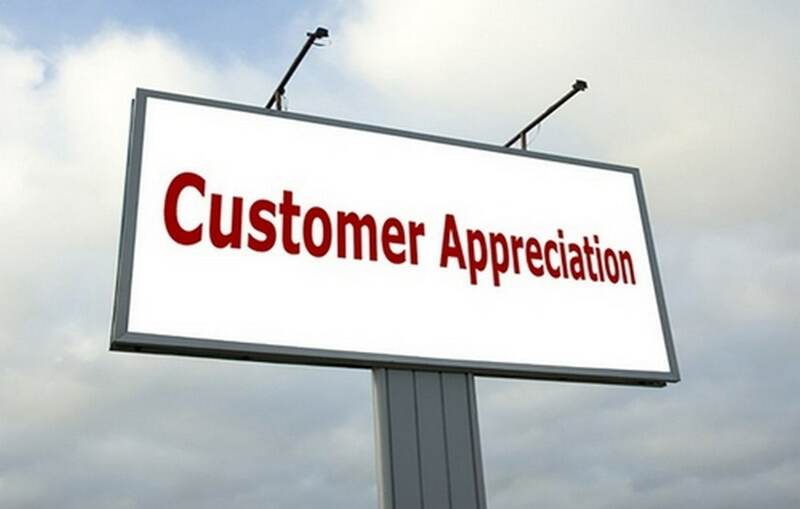 However, the party which is enjoying the most through this competition, is customers. And that’s the one party we want to keep happy at all times. I have gone through your article..
You have explained it well with examples about the advantages of competition in the market which was easy for me to understand.